Corfu Island – is the best Greek beaches, a lot of historical monuments, beautiful nature, clear sea and lots of entertainment for every taste. How much does it cost to spend a vacation on the island of Corfu? The resort is suitable for tourists with different financial possibilities. 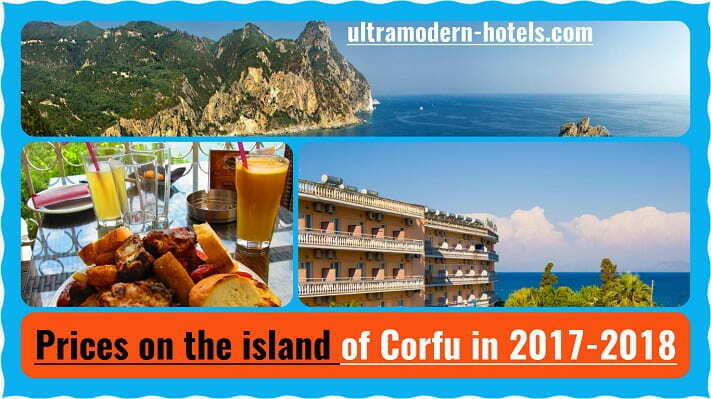 We recommend studying the prices on Corfu Island 2017-2018 for food, restaurants, cafes, excursions, car rental, transport and hotels. 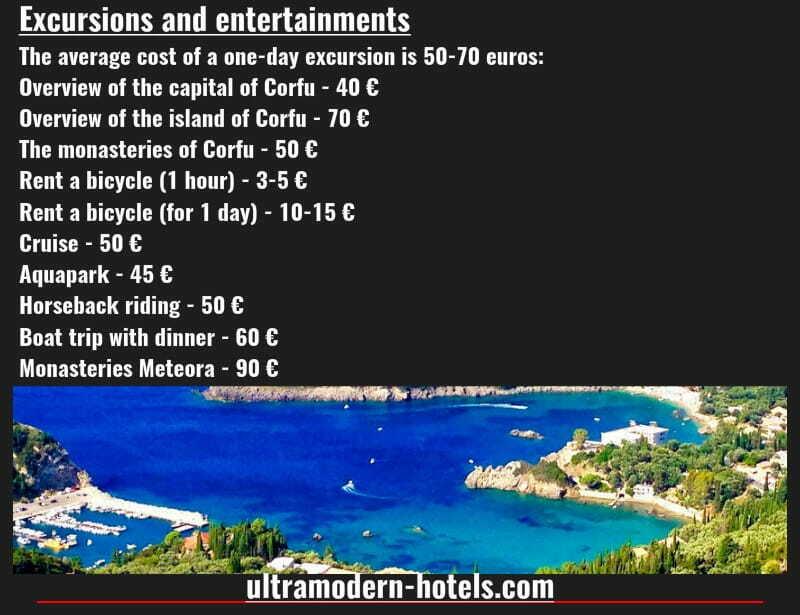 At the end of the article, we summarize the daily expenses for 2 people on the island of Corfu. 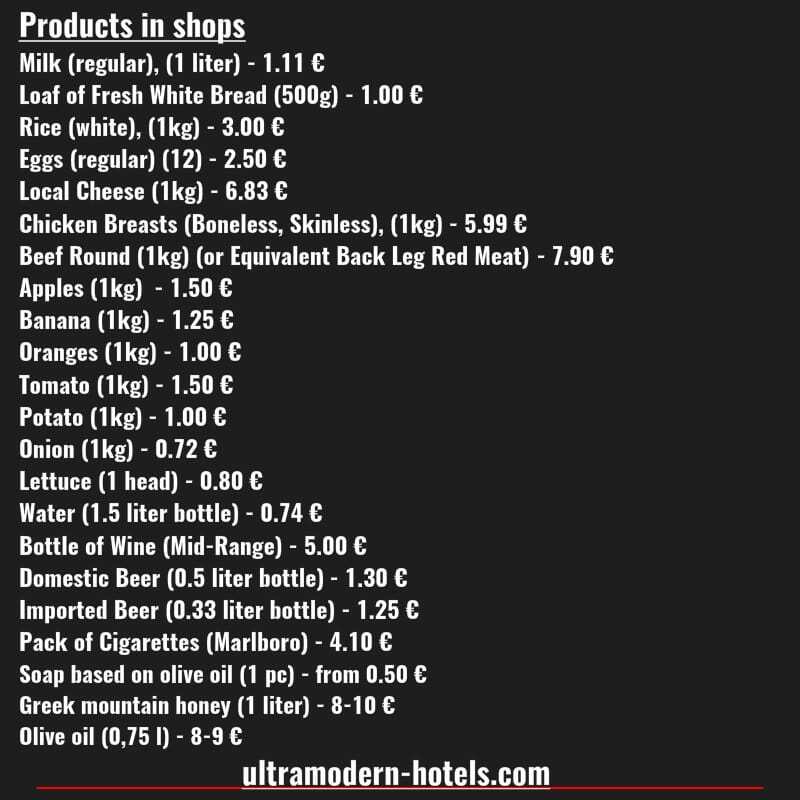 Prices for food products on the island of Corfu in the shops and supermarkets (milk, honey, bread, olive oil, chicken, pork, fruits, vegetables, beer, water, cigarettes). 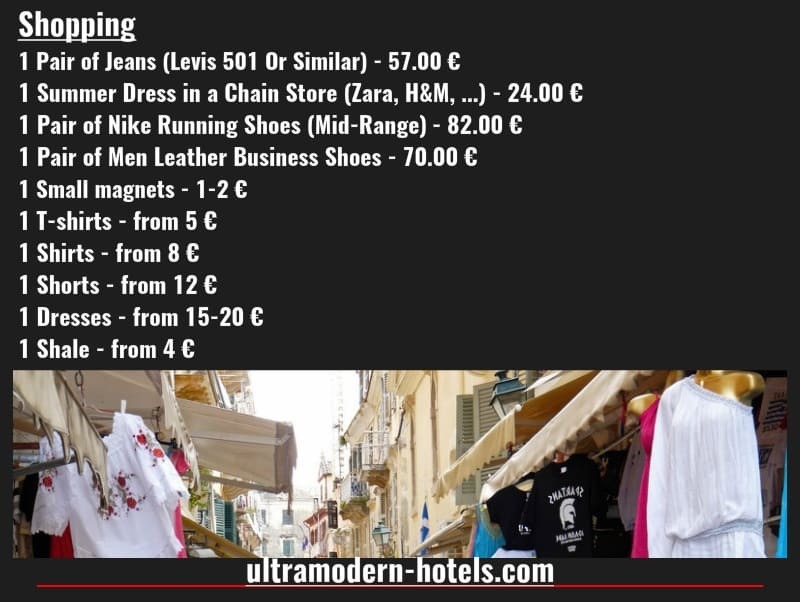 Shopping in Corfu (prices for souvenirs, magnets, slates, shorts, T-shirts, dresses, shoes). 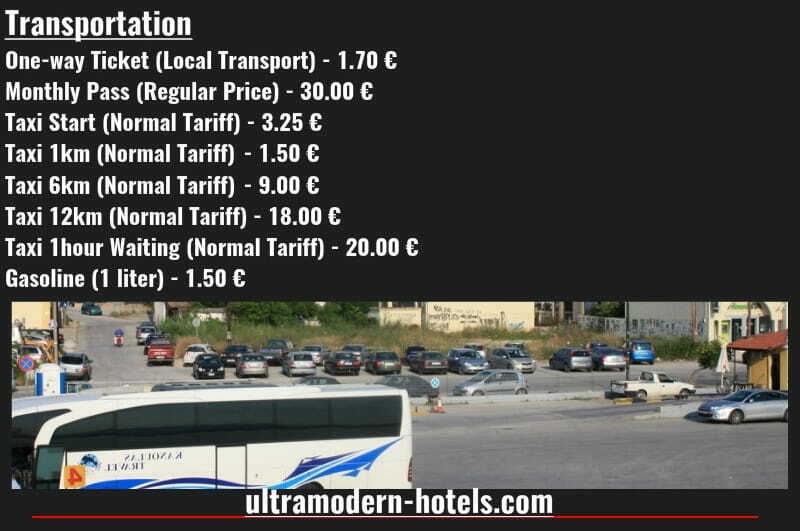 Public transport, taxis and the cost of gasoline on Corfu. 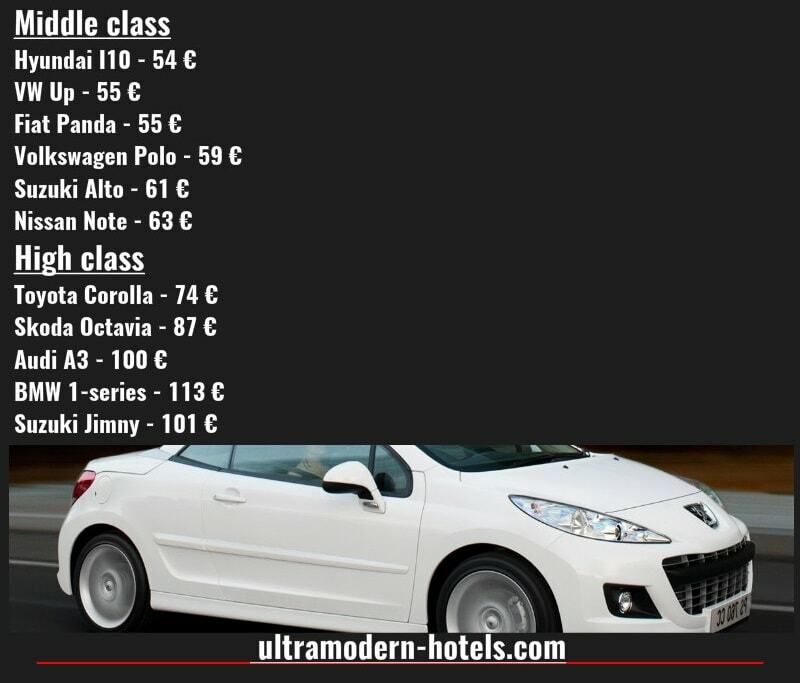 Hotels on Corfu (1, 2, 3, 4, 5 stars). 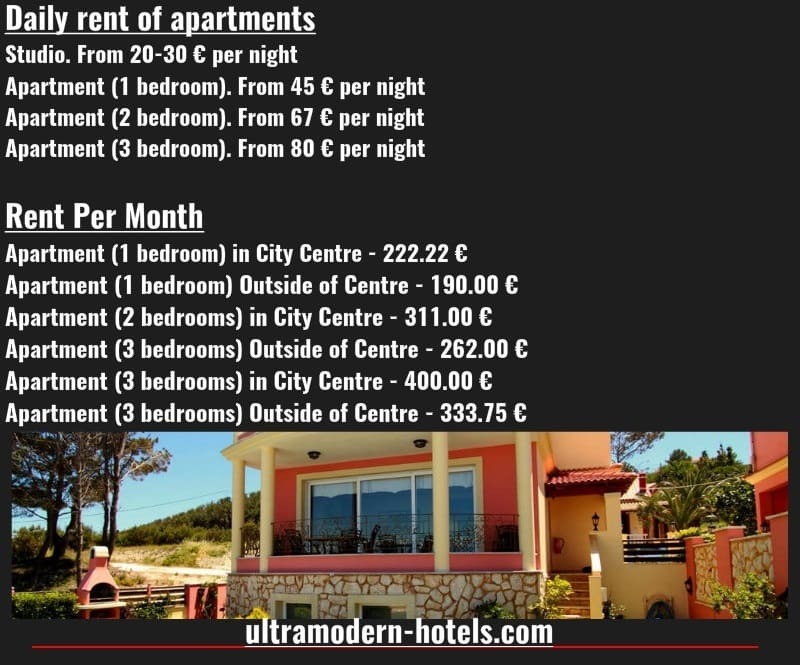 The average cost of a double room per night. 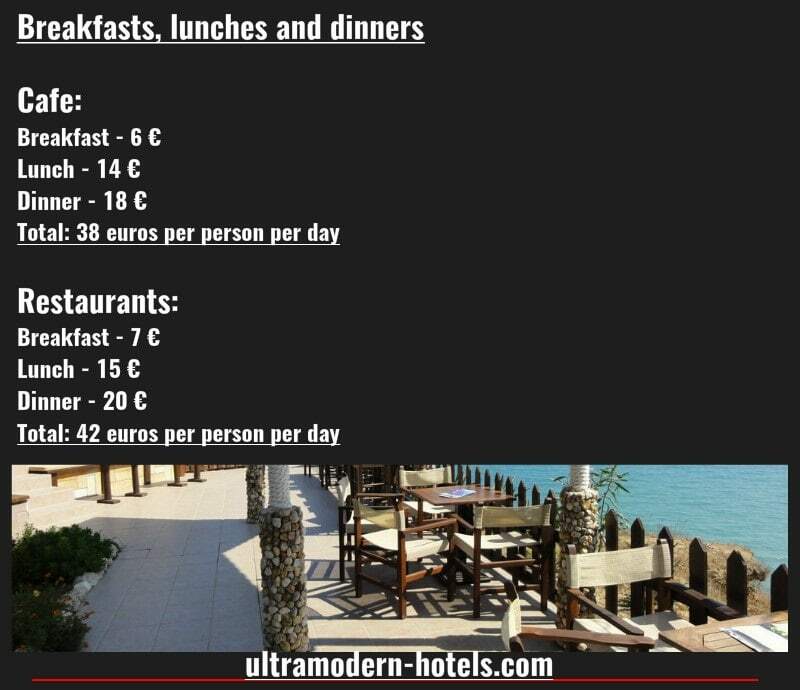 Prices in restaurants and cafes in Corfu. Average bill for 1 person. 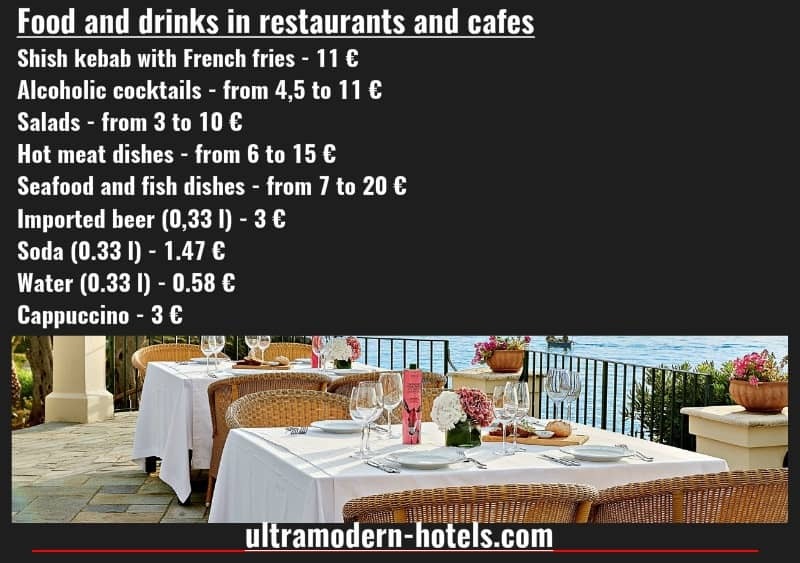 The cost of individual dishes and drinks (salads, hot dishes, cappuccino, beer, water, soda, alcoholic cocktails). Daily food costs. Three meals a day in cafes and restaurants (breakfasts, lunches and dinners). 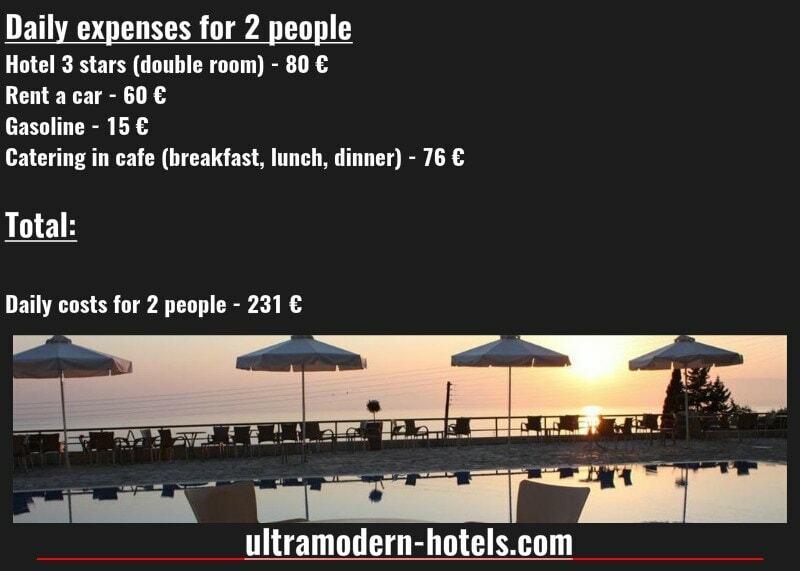 Daily expenses for 2 people. Apartment rent. Monthly and daily.